Find your unique balance at The Westin Fort Lauderdale. Impeccably situated minutes away from Blue Wave beaches like Lauderdale-by-the-Sea and Pompano Beach and the offices of many Fortune 500 companies, our hotel provides guests a dynamic destination to work, play and relax. Drenched in natural light and showcasing glittering views of the city and the lake, our accommodations are intuitively designed with the luxury traveler in mind. Sleep soundly in our Westin Heavenly Bed, stay connected with complimentary high-speed Wi-Fi and revitalize in our Heavenly Bath. Prioritize your wellbeing in our 24-hour WestinWORKOUT Fitness Studio and heated outdoor pool, and refuel at Alfiere's Mediterranean Bistro, where fresh, local cuisine is on the menu. 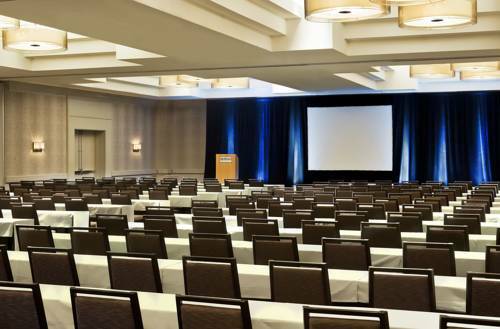 Encompassing 22,000 square feet of refined space, our hotel is also an innovative destination for hosting a business meeting or special event in Fort Lauderdale. Lobby Lounge Bistro: A perfect gathering spot for friends and colleagues in Fort Lauderdale, Lobby Lounge Bistro features imaginative cocktails and light fare served in a sophisticated setting. Alfiere's Mediterranean Bistro: Our signature restaurant, Alfiere's Mediterranean Bistro is a lively, Fort Lauderdale destination. Fresh pasta dishes and seafood are on the menu, enhanced by dazzling tropical lagoon views and alfresco boardwalk dining.